I’m sporting this shirt for luck today. Tomorrow I’ll be wearing this. Not to church. Did that last week and it was sooooo awkward. 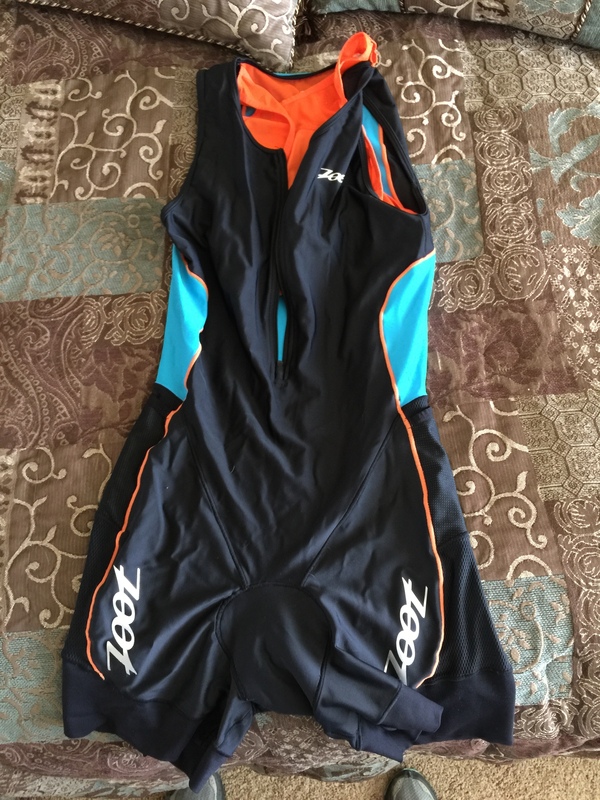 I’m actually wearing it to my very first Aquabike race, triathlon style. 750m swim, 20k bike, 750m swim. Except they have this weird rule in racing triathlons where they log your age as what you’ll be on December 31st of the same year. As if 46 doesn’t feel old enough. But you know what? It’s okay. Better than okay. I thought I would be scared today. I thought for sure I’d obsess about cycling into another biker, dream about whacking some other poor swimmer on the head or imagine myself coming in long after the sun goes down and the rest of the racers are home with their feet up sipping electrolyte drinks. But I’m not obsessing, dreaming or imagining all those horrible things. I can’t wait to put on my form fitting tri-outfit that celebrates and accentuates my extra curves – leaving far too little to the imagination. I’m excited to strap the timing chip around my ankle and put on my lime green swim cap with my own very own race number. I’m all giddy about gathering with the other racers and hearing “Go” and then dashing off into the chilly water to begin my first swim. I feel like a kid again – but even better because back in the day I was too scared to even try stuff like this. I loved adventure, but I hated the idea of racing, being last, being the turtle in the midst of the rabbits. But now I truly don’t care. I’m a racer. An athlete. 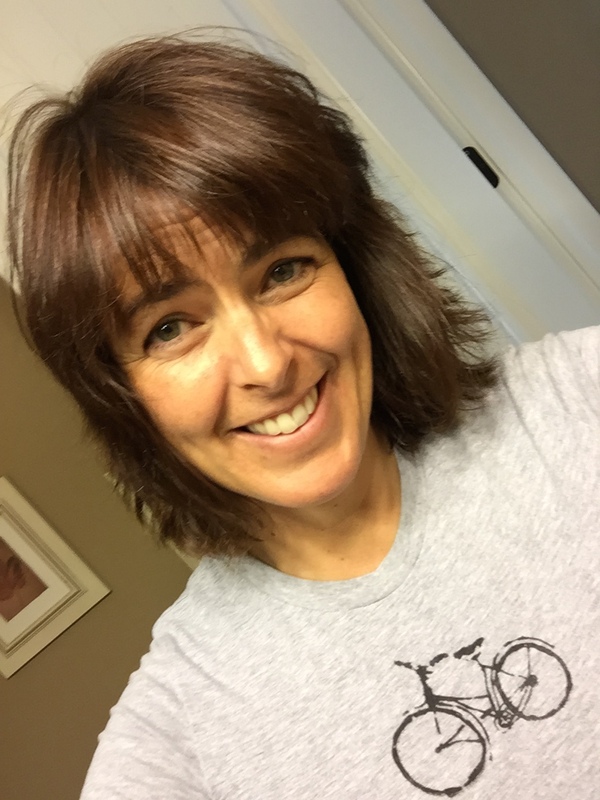 A 46 (or 47 – whatever) year old triathlete, to be exact. Go, turtle, go! So if you think of it tomorrow, say a little prayer for this aging racer. That I don’t run any cyclers off the road, drown any fellow swimmers or come in long after the final horn has blown. Just pray I finish with a smile on my face. And that I get a medal. I really, really want a medal. Okay, off I go. Gotta go start putting on my outfit. It takes a bit of time to stuff all of me in there. This entry was posted in fit and fabulous, humor. You go, Elsa!! This family will be cheering you on and praying….hard!! You can do this! You’ve got this so under control girl!!!! Prayers are with you. Go out there and give it your all. You’ll do fine. I personally believe He has put this in your path for a reason. You have prepared well, now reap your reward!